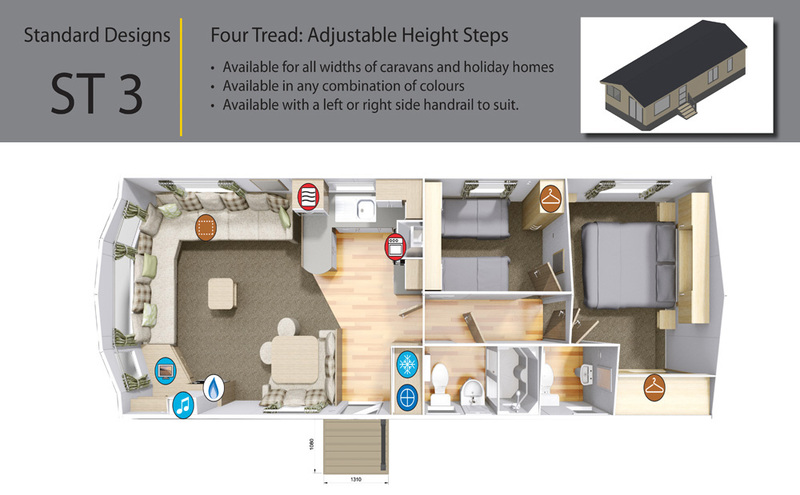 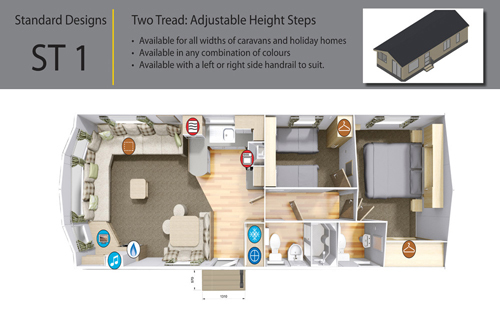 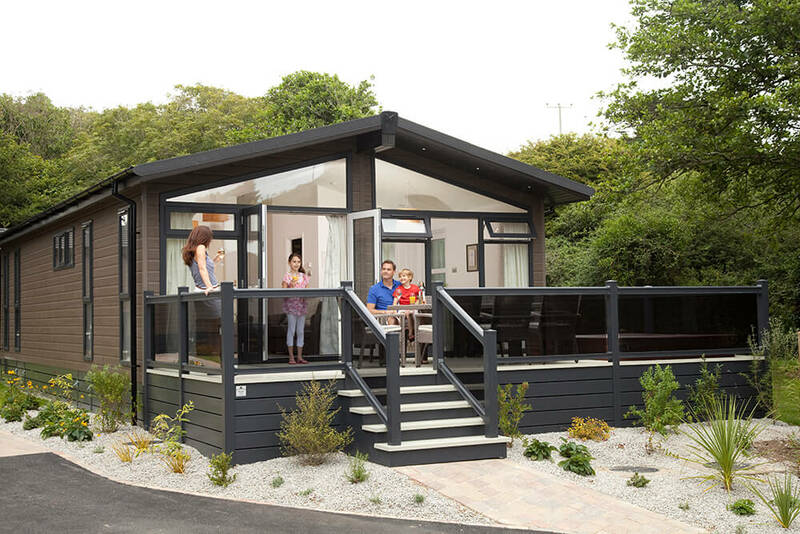 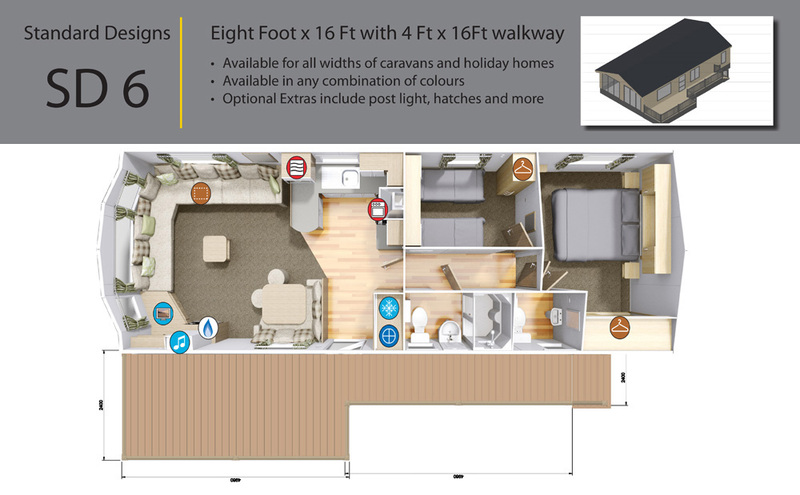 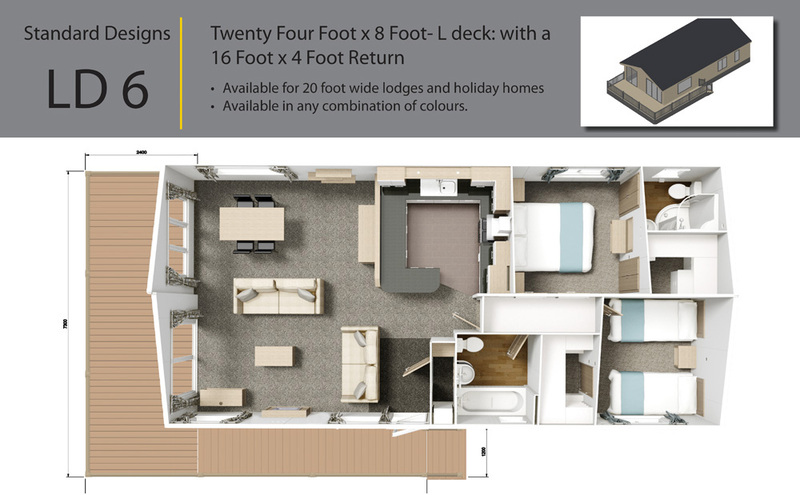 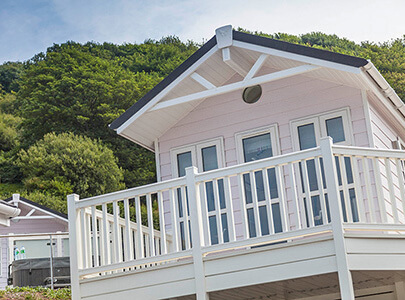 Below you will find a selection of the standard holiday home designs we produce on a regular basis to give you an idea of the space and shape you need. 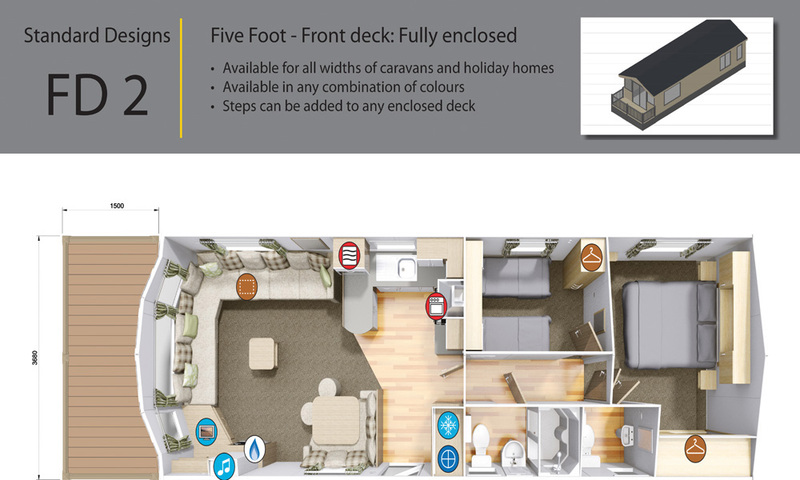 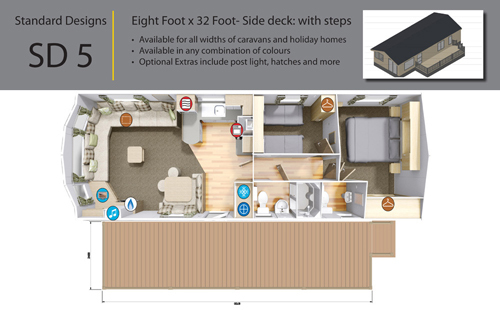 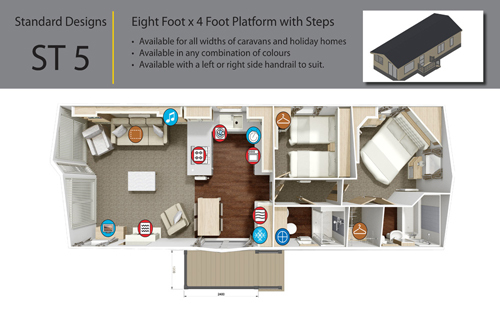 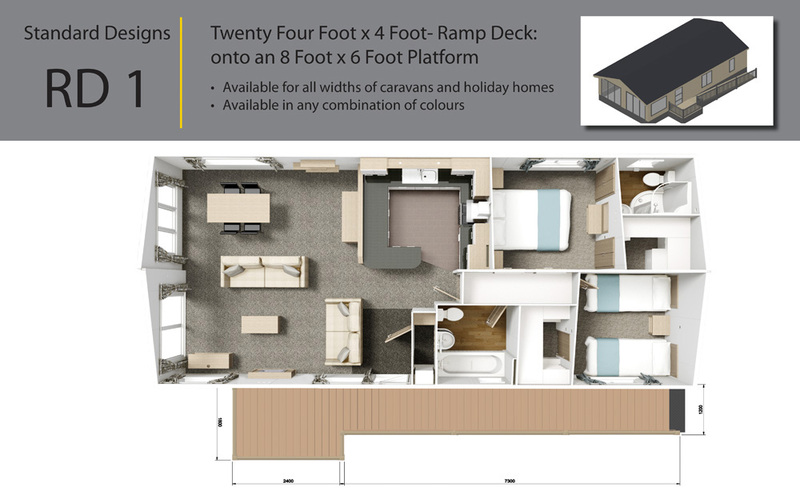 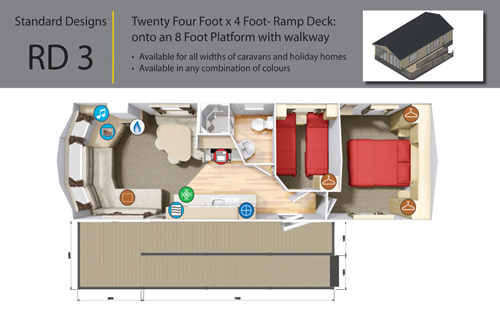 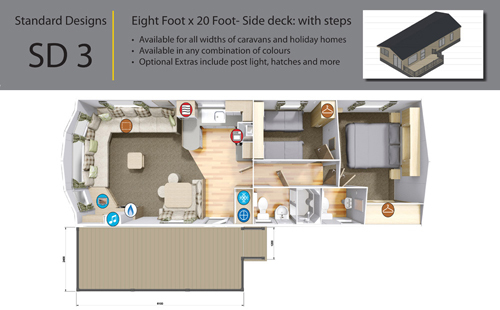 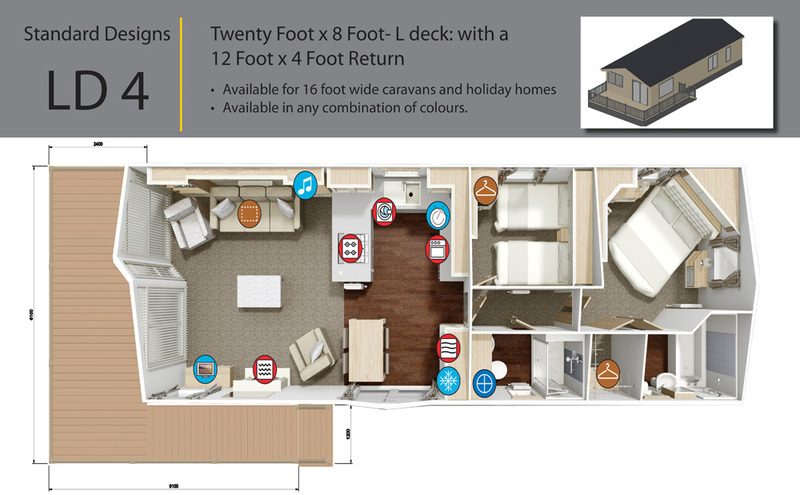 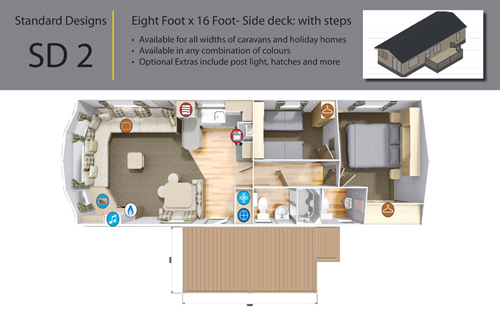 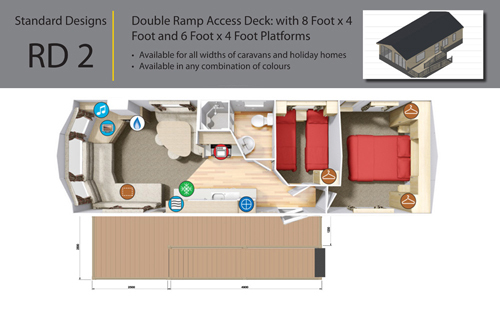 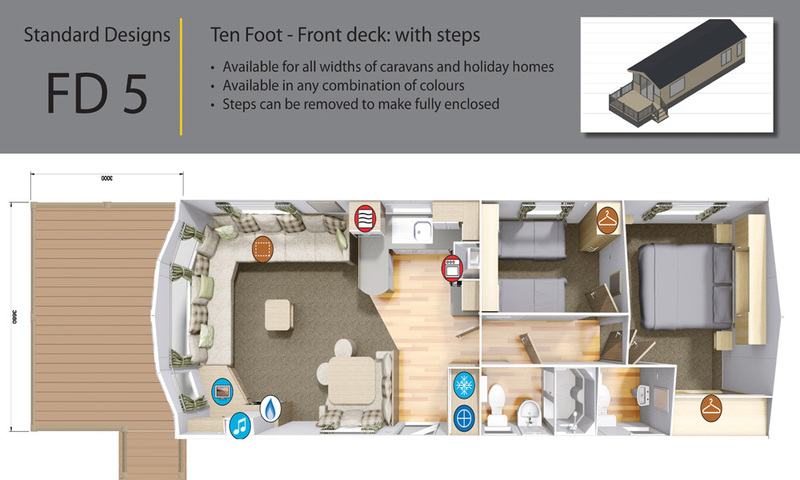 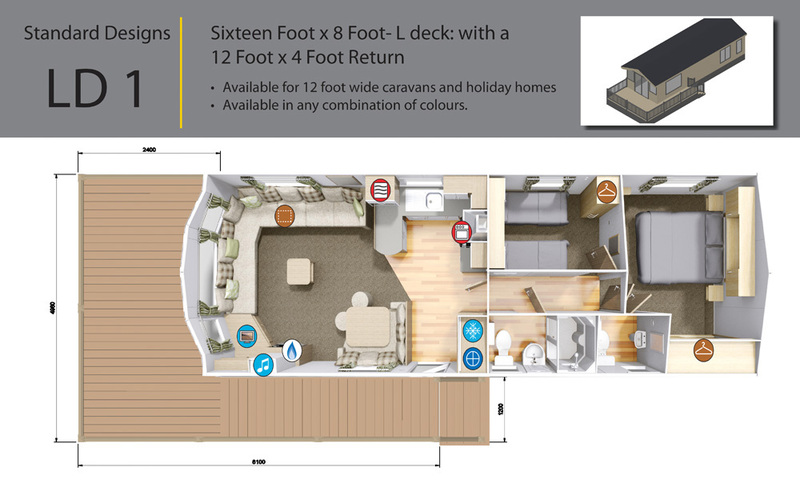 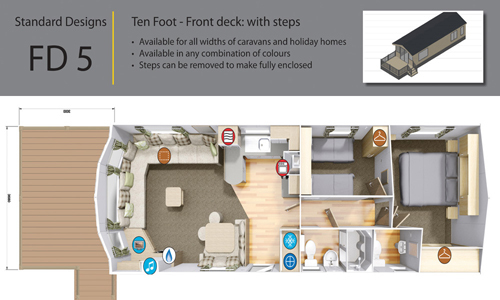 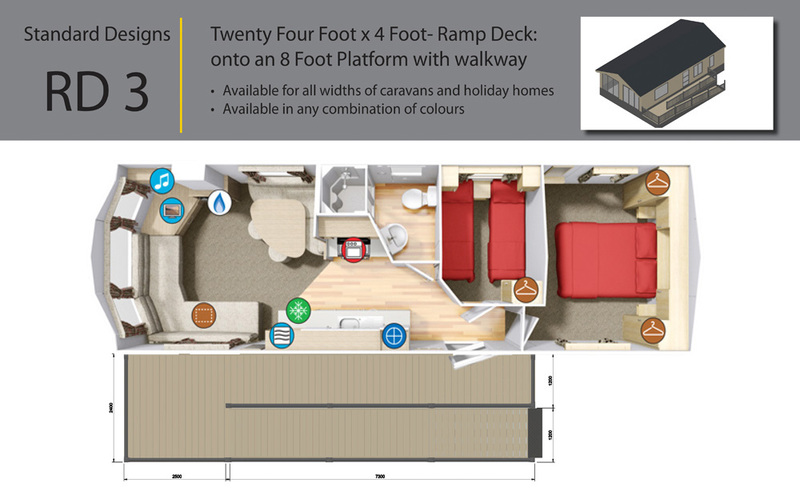 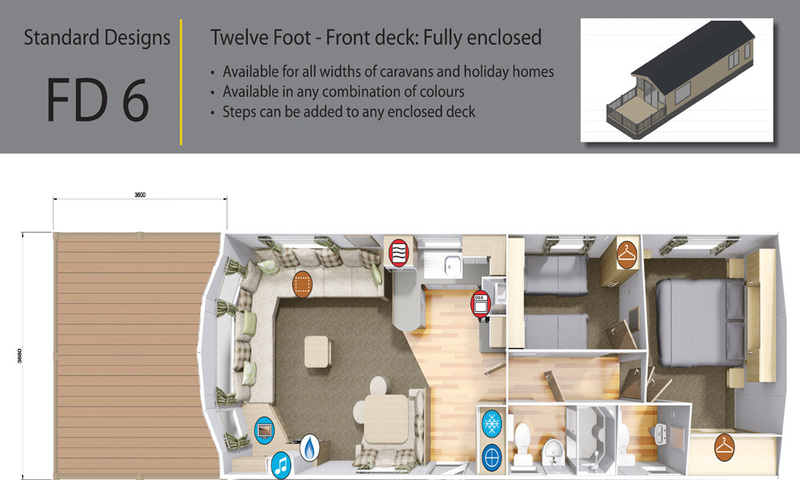 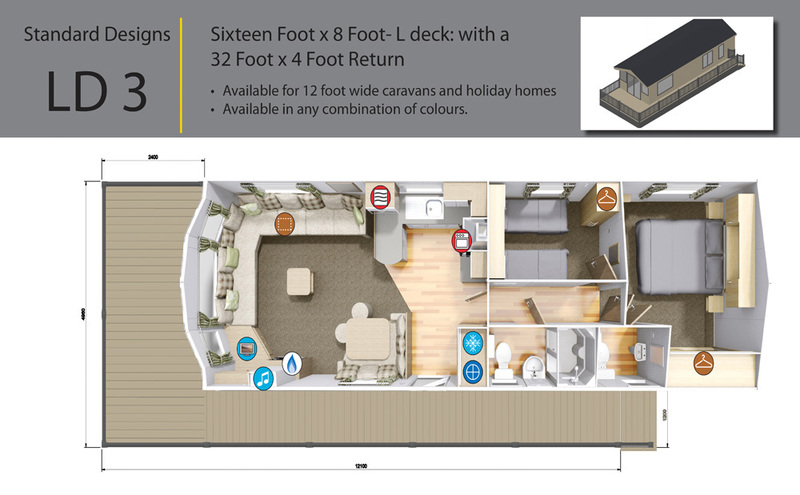 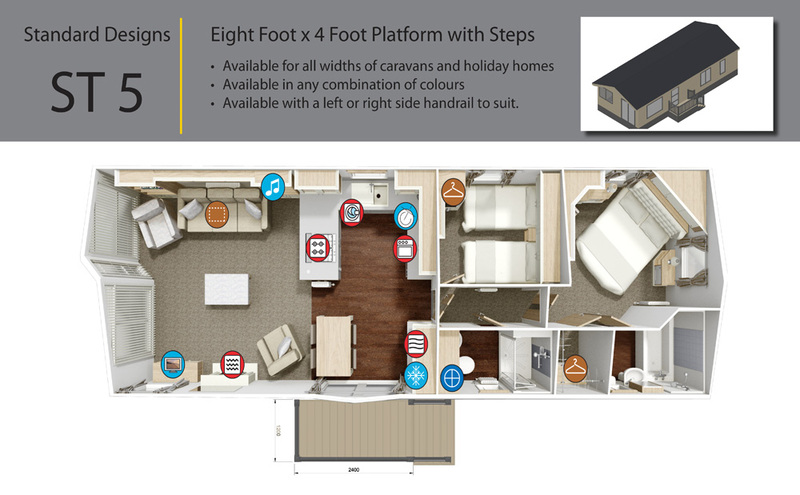 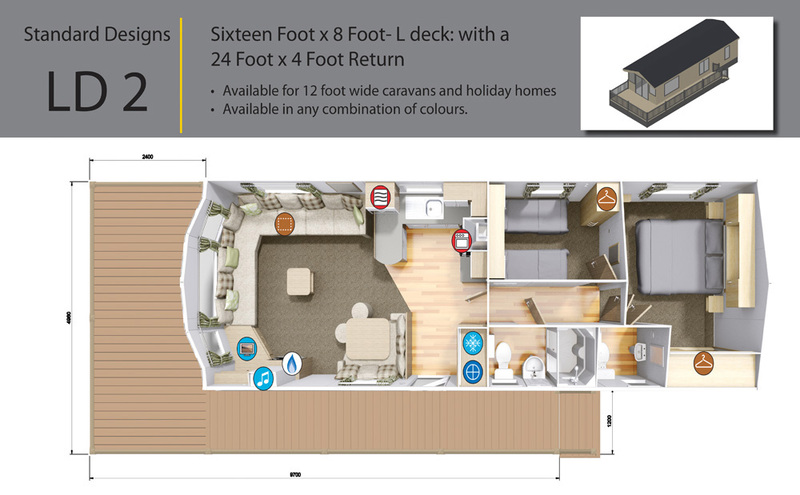 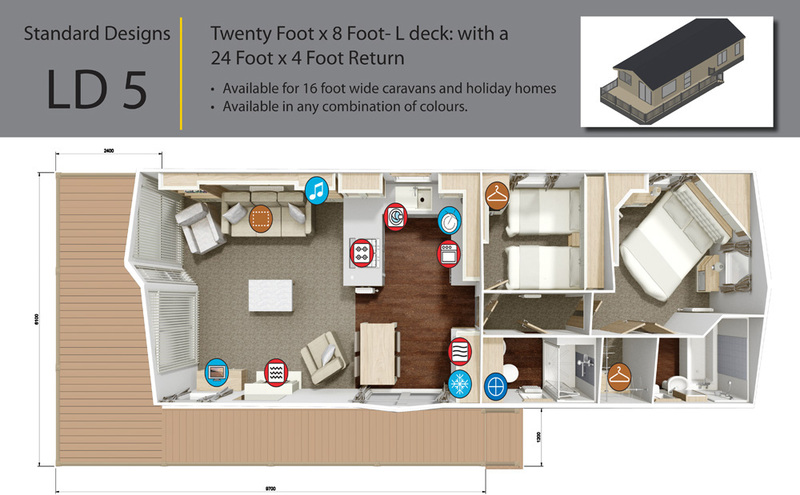 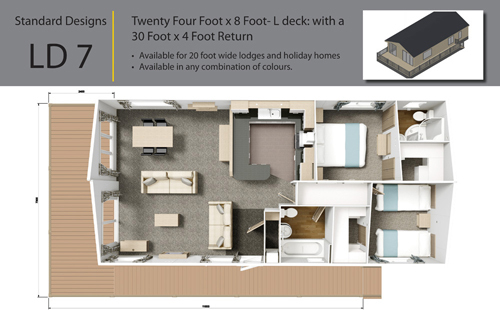 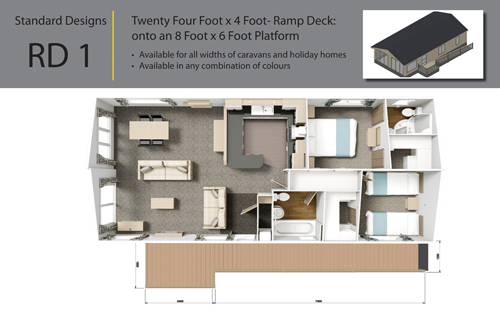 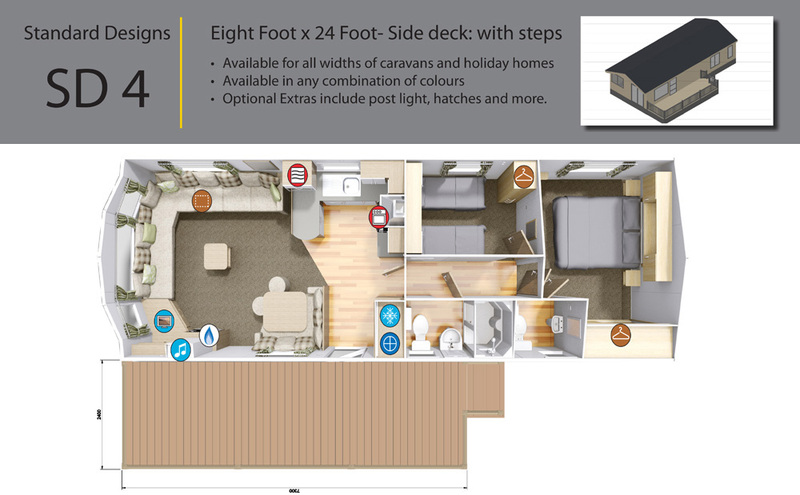 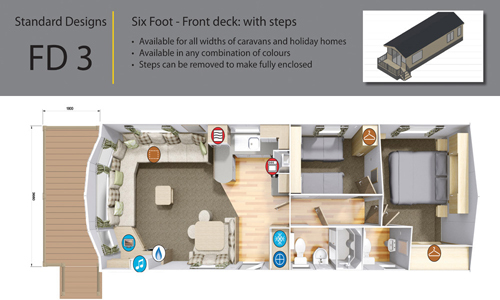 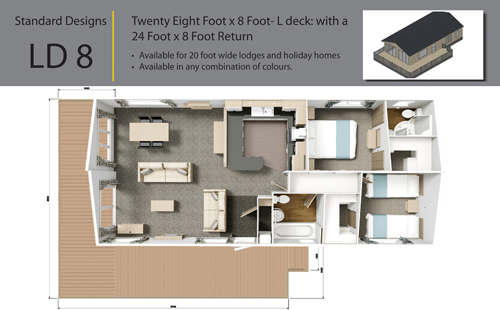 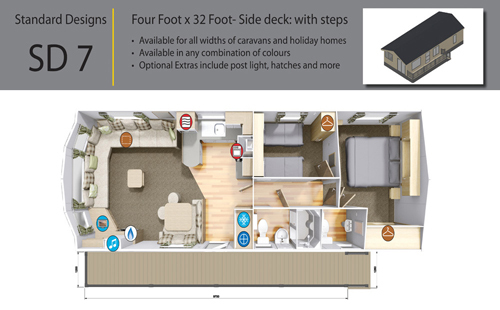 We have over 80 standard holiday home decks to suit every make and model but you may prefer a deck designed and tailored to you. 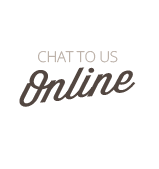 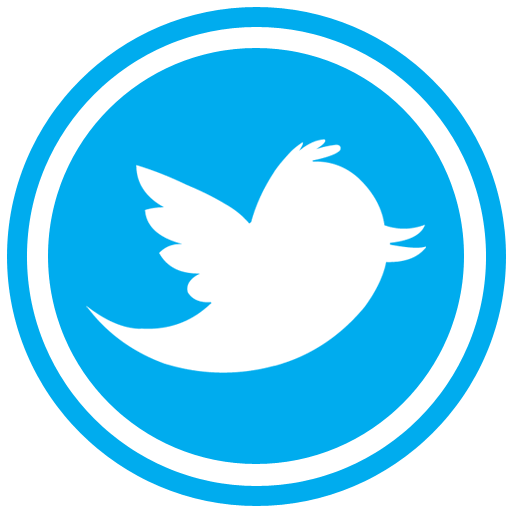 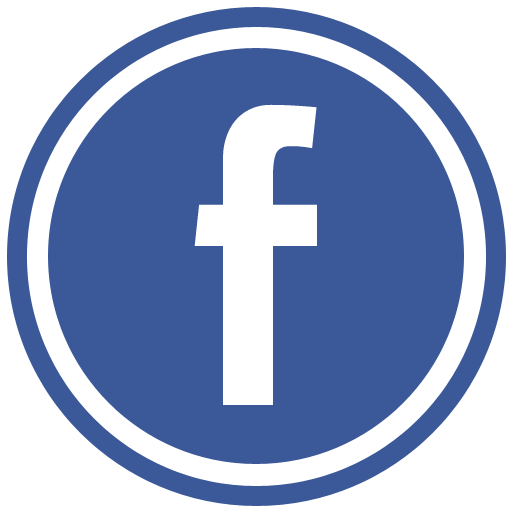 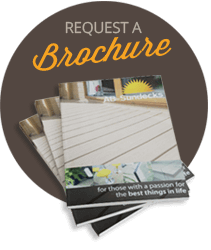 Our design team are here to discuss exactly what you require and offer their expertise to make your decking dream a reality. 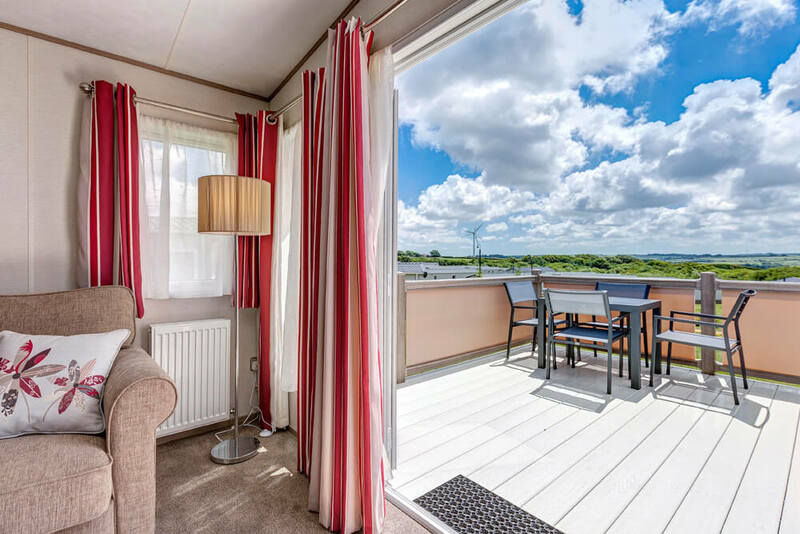 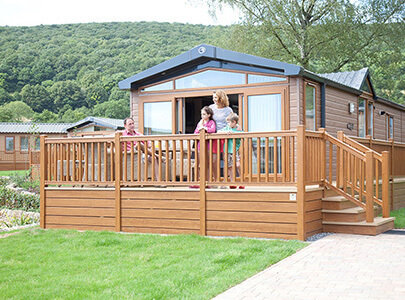 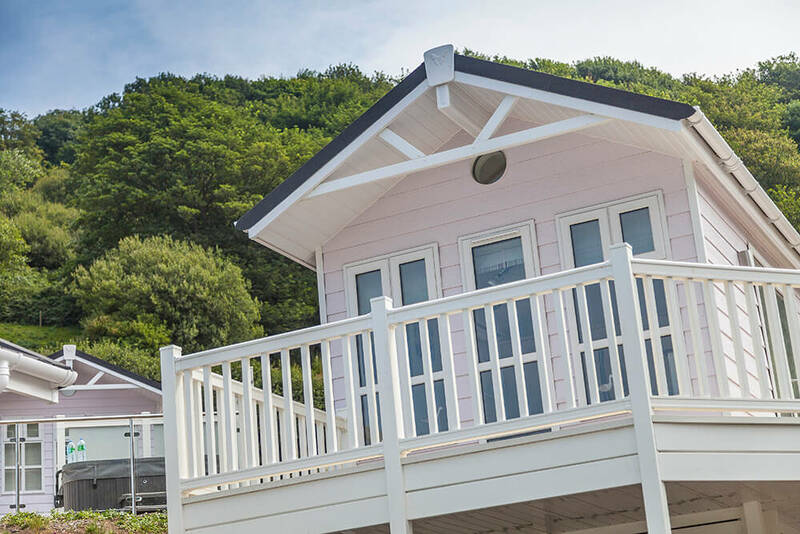 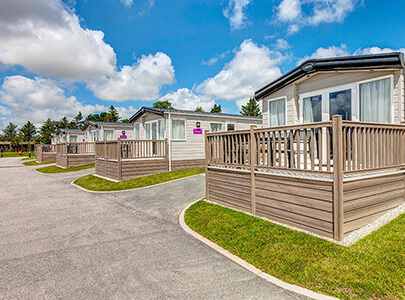 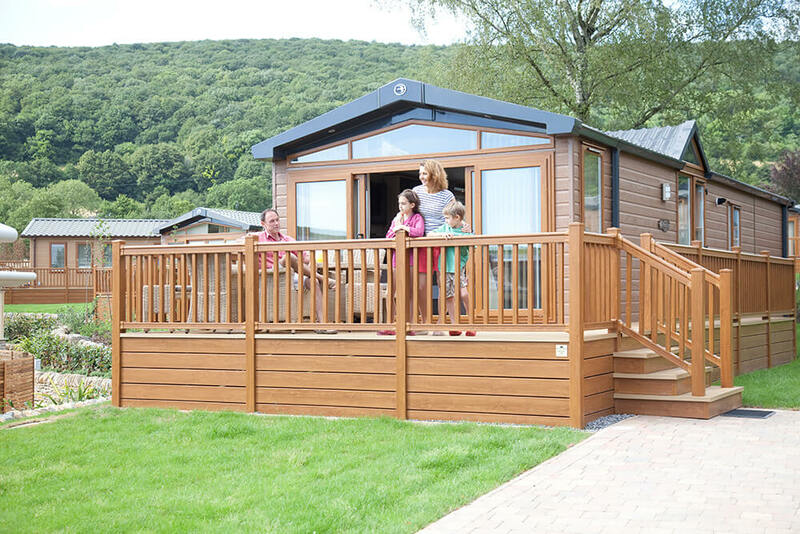 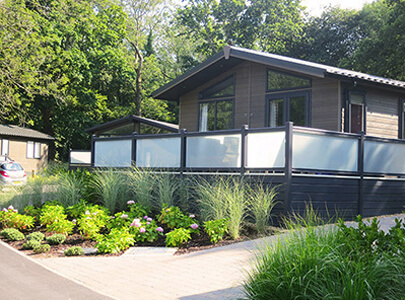 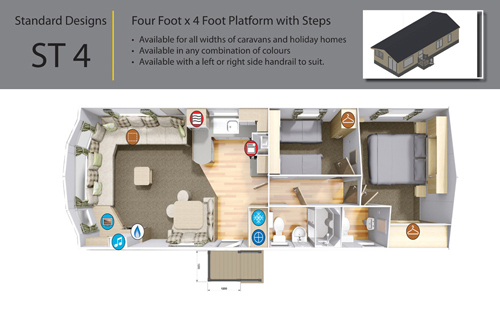 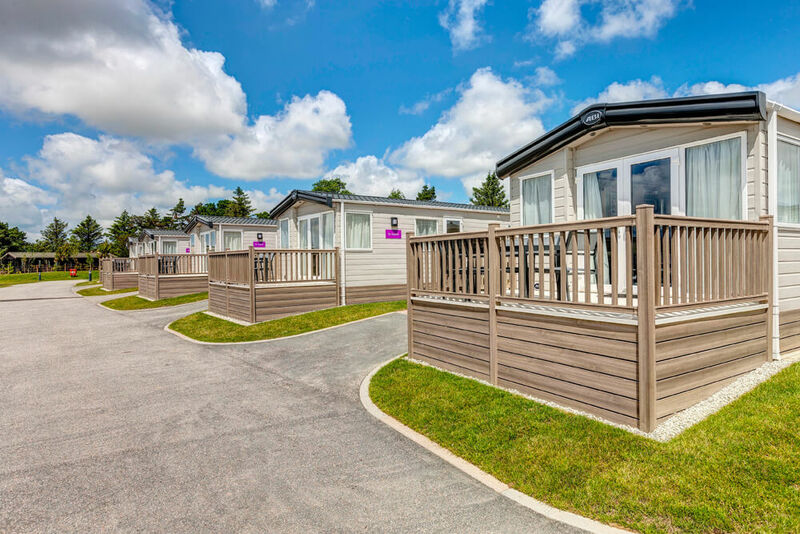 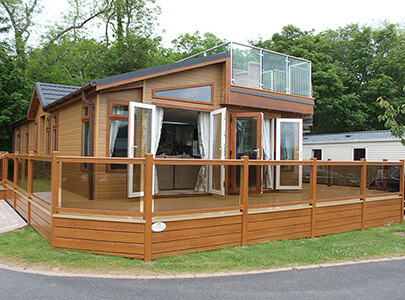 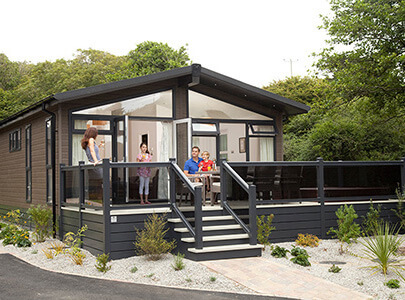 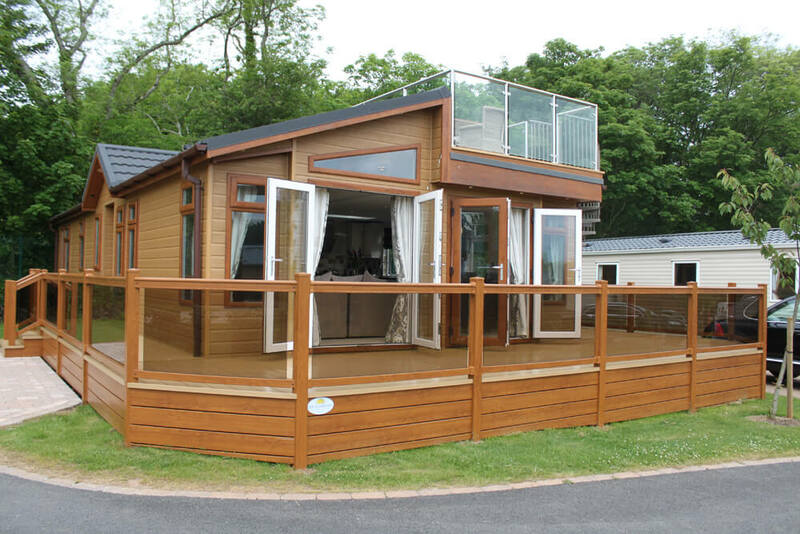 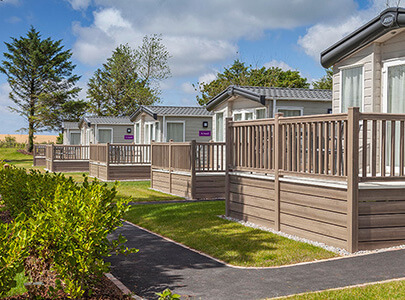 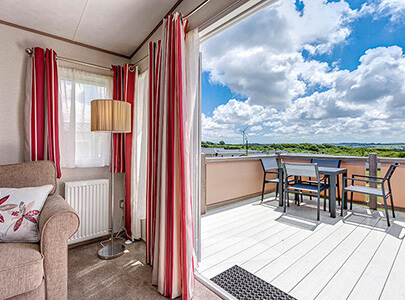 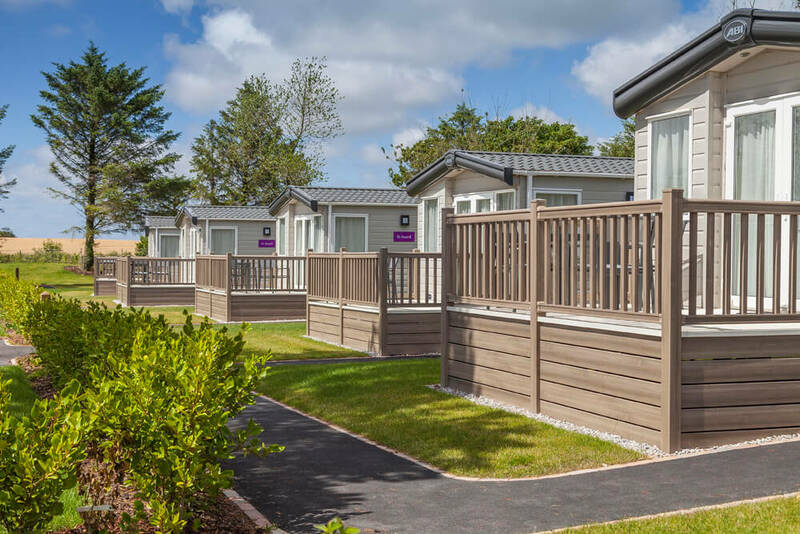 Over the last three years we have incepted and launched several new holiday home and lodge parks in the UK and in doing so, have encountered a number of significant challenges along the way. 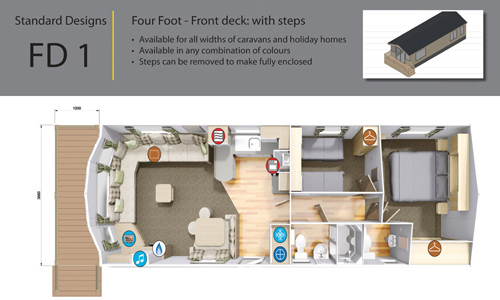 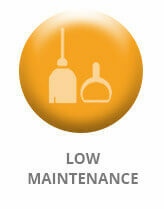 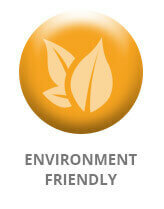 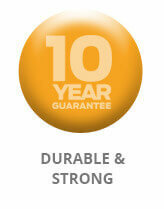 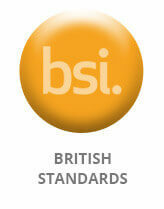 Throughout the process it has been a pleasure to have been able to rely on the guidance and support of AB Sundecks. 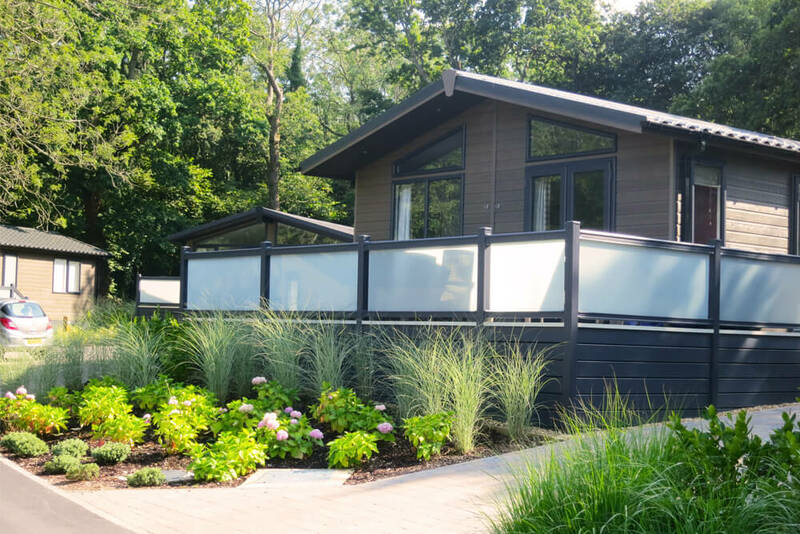 From the outset, their team gave us invaluable advice and created a thorough plan to ensure that every step of the way, there was a support network we could count on. 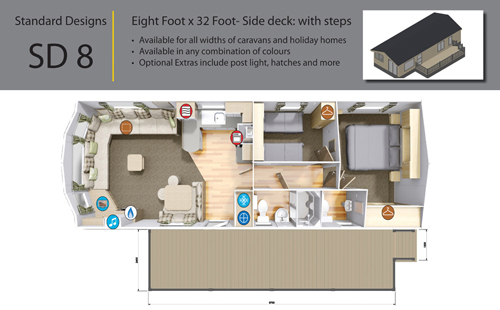 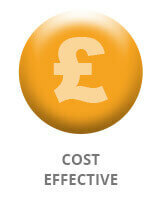 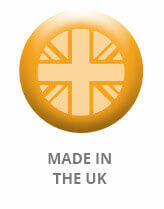 Complete your details below and download our Holiday Home Decking brochure.